The list is then compared to the doctor’s admission, transfer, and discharge orders as a means of ensuring its accuracy. Delivery Method: Information about the pre-recorded webinar course is below. Accreditation and Credit Hours: All accreditation and credit hours are listed on each provider’s website (if offered). You may inquire with the provider or search the website directly for any further questions. Course Description: The goal of the Webinar recording is to present information to a variety of health care professionals about available evidence regarding the effect of medication reconciliation on clinically significant discrepancies and hospital readmission, and to provide information about the MATCH toolkit. Define medication reconciliation as formal patient safety practice. Identify four sources of medication information. Describe what is known about potential harms associated with unintended medication changes at care transitions. Describe the steps outlined in the MATCH toolkit for evaluating, designing, and implementing medication reconciliation processes. Disclaimer: Heka Healthcare Consulting, LLC is not directly affiliated with the training providers presented in our “Free Healthcare Training Alert” series. We strive to provide the most current information and links for the training presented. Our goal is to link healthcare providers with training opportunities that will improve quality and the delivery of services. To have your free training opportunities featured in this series please contact us directly at admin@hekaconsulting.com. If you are a student interested in participated in the training, please follow the training link to register and all questions should be directed towards the training provider. You are encouraged to join our email list for further updates; we respect your privacy and will not share your information. For more information Heka Healthcare Consulting, LLC log on to www.hekaconsulting.com. 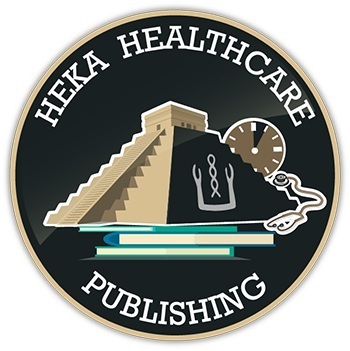 For more information about the training provided through the Heka Healthcare Academy, log on to www.hekaacademy.com.